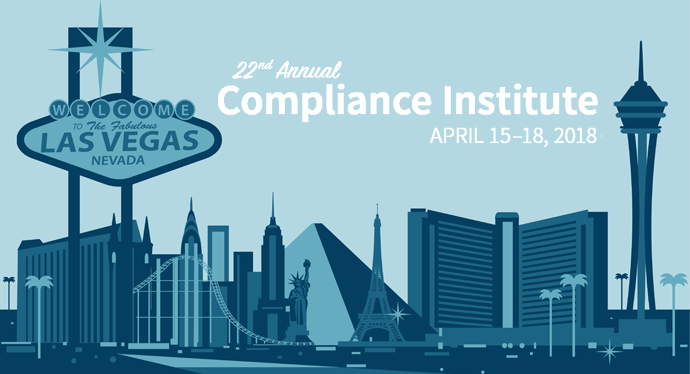 PreCheck, a healthcare exclusive employment and background screening firm, will exhibit at HCCA’s 22nd Compliance Institute on April 15-18, 2018 at ARIA, Las Vegas, NV. PreCheck, Inc., a background screening and credentialing firm specializing in the healthcare industry, today announced they will be exhibiting at the Health Care Compliance Association’s (HCCA) 22nd annual Compliance Institute being held April 15-18, 2018 at the ARIA, Las Vegas, NV at booth #1202. HCCA’s Compliance Institute is the principal education and networking event for healthcare compliance professionals. This conference offers attendees the opportunity to select from a wide-variety of educational sessions across the myriad of healthcare settings with a highly regarded faculty, covering topics such as cybersecurity and HIPAA audits, enforcement actions, conflicts of interest, False Claims Act developments, social media and compliance, overpayments, telehealth, government investigations, and more. During the 3 day conference, PreCheck will showcase their suite of employment screening solutions for healthcare compliance departments. Their suite of employment background screening services includes exclusion screening, professional license management and ongoing monitoring, and more. Participants of the conference can visit PreCheck’s exhibit at booth #1202 to learn more about their suite of solutions. Learn how PreCheck can help compliance officers mitigate risk and comply with industry regulations and emerging standards. HCCA, established in 1996 and headquartered in Minneapolis, MN, is a non-profit professional membership organization with more than 11,300 members. Visit HCCA’s website at www.hcca-info.org. Tel: 888-580-8373.